This is the hardest thing that I’ve had to write in a long time. We’ve had to suspend the Yukon Journey. The reason is simple but heartbreaking – Tak’s hands and arms are too bad to continue on. He told me this with his apologies and he felt terrible saying it, but I knew it was coming. 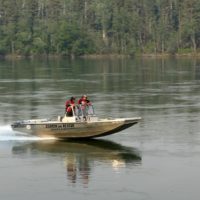 He pushed himself for over 1,000 river miles, and h’s soldiered through the numbness and pain better than anyone could have expected. I watched him gut out long days – to the point he his fingers wouldn’t bend and he put hands in the water and actually couldn’t feel it. But it doesn’t make sense to risk permanent damage in order to complete the trip. We nicknamed him “The Engine” early on for his hard work ethic. It doesn’t seem enough now. I think “Lion Heart” is more accurate because he put his whole heart into the trip and did his utmost to not let the team down. He didn’t; no one could have asked more of him than he gave. So after we talked I began to think about how to finish the trip solo – what gear I would need to cobble together so I could reach the Bering. I laid awake most of the night figuring out the logistics, combined with worry for Tak’s situation. Early the next morning, I received an inReach message from back home. My father-in-law, who has been undergoing numerous procedures and surgeries for his heart, has had more complications and must have another soon. Jan, my wife and our support person extraordinaire, ask that I return. And family comes first. So it is with a very heavy heart that I called it for now. 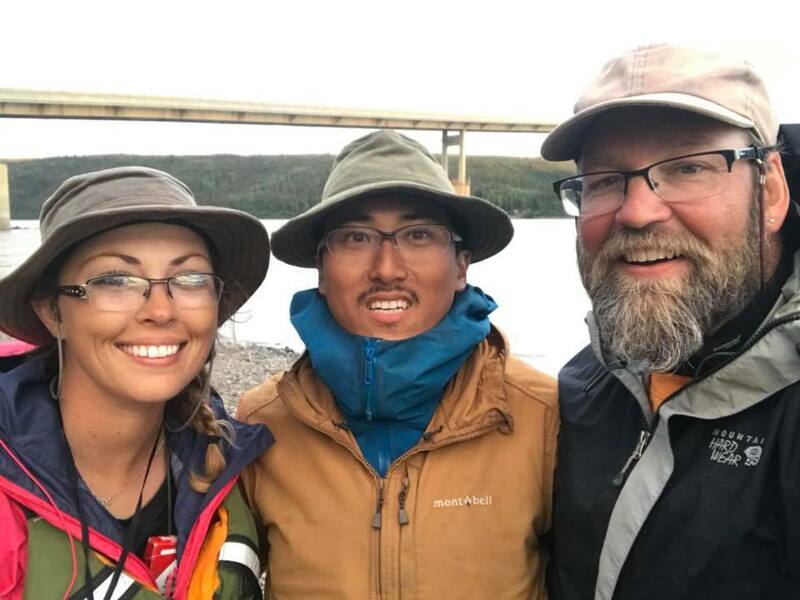 We made it to the half way mark at the Yukon River Camp on the Dalton Highway – at the time and place that gives us the best way off the river. Jeffery Groenke, the on-site manager, and all of the people there are amazing. They were helpful with logistics and assistance before the trip began, and were somehow even better afterward. 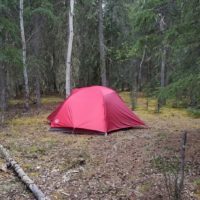 If you ever find yourself in Alaska and want to experience true Northern hospitality, this is the place to go. And now comes the part I hadn’t planned on– figuring out how to get back home as soon as possible. 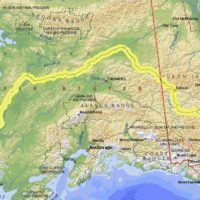 It looks like the best way is to hitch down to Fairbanks, catch a multi-leg flight over to Whitehorse, and pick up the car and Malone trailer. At that point, I’ll turn around and drive back up here, grab the kayak and Nova Craft Canoe, pick up our remaining gear and supplies we left in Anchorage and the Yukon, and head back home to Wisconsin. The goal is to come back next summer and finish the Journey. There are too many miles left unpaddled, and we want to raise more money for first responders. So until then, I’ll have a big hole in my gut and a bucket-list destination yet to meet. 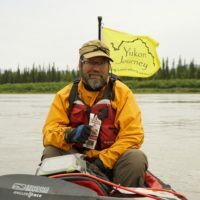 I’d like to thank all of our sponsors for their support and faith, and especially our primary sponsors: Nova Craft Canoe, North Water, Enlightened Equipment, Stormy Kromer, Bending Branches, Malone Auto Racks, Yukon Brewing, and The Outdoor Kind. These companies make the best products in their individual categories and I can’t recommend them highly enough. 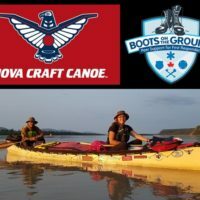 We also want to say a big thanks to Paddling Adventures Radio for sharing this expedition on their podcast. Finally, I’d like to thank you for following along on the Journey. To those of you who have donated to our first responders fund, I offer additional thanks. I’d like to encourage anyone else to go to our sponsorship page and make a donation to help first responders. While we didn’t make our original endpoint this summer, they’re still out there doing the hard work that helps all of us and we want to encourage you to support them in all they do. It’s time to close now, as there’s work to be done and a long drive ahead. So from the bottom of my heart, thank you. I wish you all the best in your personal outings and journeys. 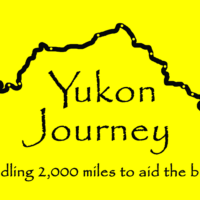 Yukon Journey donations to be announced at leading paddlesports shows!New sponsors added!